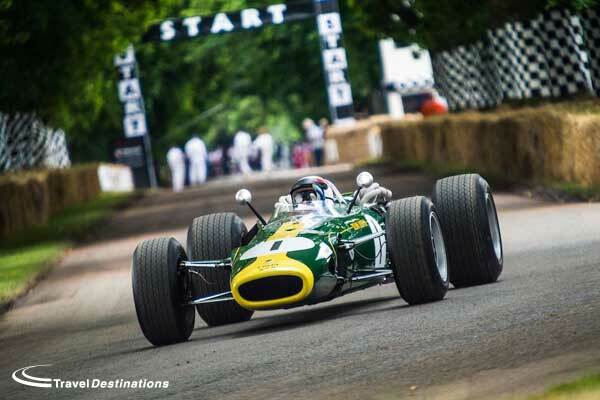 Roy Salvadori once said “Give me Goodwood on a summer’s day, and you can keep the rest.” If you have ever been to either of the two events described below, you’ll know this is true. 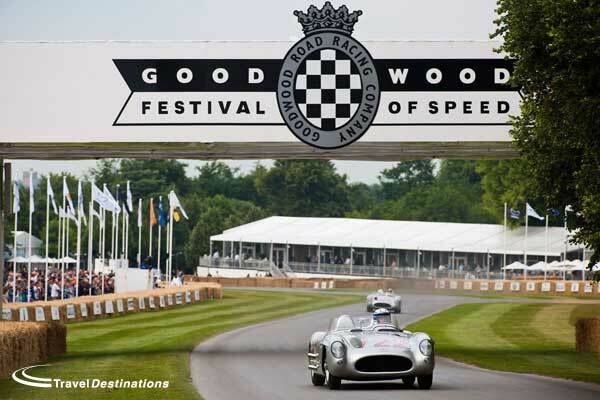 We are delighted to be able to offer hospitality packages for both the Goodwood Festival of Speed. The ultimate garden party with cars. The Festival of Speed has become the premier motor show in the UK, with all major manufacturers attending, displaying their latest machinery on the lawns in front of Goodwood House. Expect to see all the latest supercar and hyper cars, racing cars from right through the ages and the latest F1 cars. There is a rally stage, a 4×4 course. The list just goes on at this event. For the ultimate way to experience the event then buy your hospitality through us. We recommend the Library Lawn Garden Party and The Clark Pavilion. Explore the elegance and beauty of the Cartier Lawn before taking your seat in the grandstands. Informal seating. Clark Pavilion is located on the dramatic Molecomb Corner –renowned for being the most challenging point on the Hillclimb.